The public and private sectors invest in a partnership to help East African coffee farmers increase sustainable agronomic practices. Ethiopia is known as the birthplace of coffee, and wild coffea arabica trees are common in Oromia, the nation’s largest and most forested regional state. Today, this landscape is undergoing some change and development as local communities turn to the land to grow more food. Unfortunately, such expansion often comes at the cost of environmental sustainability, in this case contributing to deforestation in the region and leaving farmers vulnerable to soil degradation and climate change. Ironically, the solution to Oromia’s sustainable development can be found in the landscape itself. As coffee trees evolved in the forests of Ethiopia, they adapted to be healthier and more productive in the indirect sunlight beneath the canopy. The result? Shade trees increase both productivity and quality on coffee farms, meaning that reforestation can go hand in hand with higher incomes for farmers and a better cup of coffee. The opportunity for this triple-win has brought a diverse group of stakeholders together in East Africa. TechnoServe and Nespresso have been longtime partners in the region, helping to improve livelihoods in Ethiopia, Kenya and South Sudan through Nespresso’s AAA Sustainable Quality Program. Through on-the-ground training for smallholder coffee farmers, we have worked to increase coffee-processing capabilities, improve socioeconomic conditions in farming communities, and overcome challenges in the coffee supply chain. In October, Nespresso announced that the World Bank’s International Finance Corporation (IFC) and BioCarbon Fund Initiative for Sustainable Forest Landscapes (ISFL) will join the partnership, furthering coffee’s potential for social and environmental sustainability in the region. Through this expanded collaboration, the AAA Program aims to help 20,000 additional smallholder coffee farmers in Ethiopia’s Oromia region to increase the productivity of high-quality beans by 50 percent within four years. 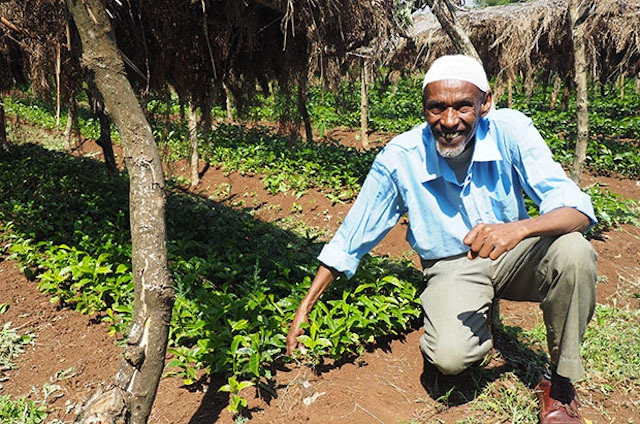 The program’s work with small farmers will contribute to the ISFL’s Oromia Forested Landscape Program. The ISFL works globally to reduce deforestation and greenhouse gas emissions caused by forest degradation through land use. The initiative’s goal is to ensure that forests are managed in such a way that they reduce poverty and drive sustainable development locally, all while safely storing carbon in trees rather than the atmosphere. 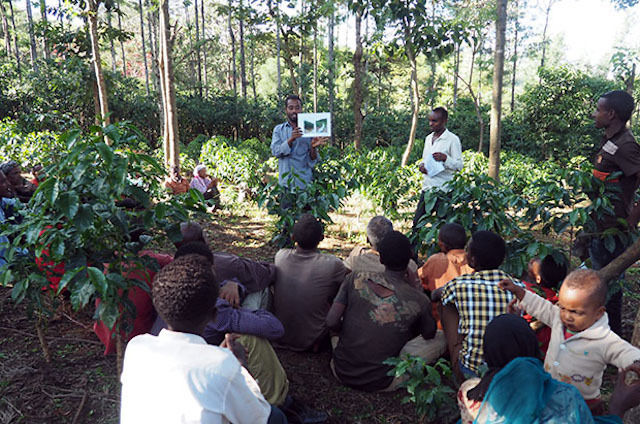 TechnoServe will facilitate this objective in Oromia, working with farmers to plant trees on their land as part of their training in sustainable practices and technical capacity building. This collaboration between public and private stakeholders will allow key sustainability and development goals to come together, benefiting farmers, forests and flavor in a powerful triple win for East Africa’s coffee sector. Read more about our work with Nespresso to support smallholder coffee farmers.